ORLANDO, Fla., March 21, 2019 /PRNewswire/ --Warm weather is within grasp and summer vacations will be here before we know it. From tranquil island getaways to some of the country's top urban destinations, Wyndham® Extra Holidays— part of Wyndham Destinations (NYSE:WYND), the world's largest vacation ownership and exchange company -- invites travelers to book now for huge travel deals to some of the most sought-after destinations across the country. Wyndham Extra Holidays is now offering savings of up to 35 percent off of 40 remarkable vacation club resorts during its "Swing Into Spring" Sale. Explore world-renowned beaches, exciting cities, theme park meccas and other top travel destinations. Wyndham Extra Holidays gives travelers that don't yet own a Wyndham timeshare the chance to experience the benefits of staying in a vacation ownership resort, which combines the convenience of condo-style accommodations with premium resort amenities and services. Travelers will enjoy the comfort of roomy suites with separate bedrooms, living rooms, dining areas and fully-equipped kitchens, without sacrificing resort-quality services like recreation programs, pools, fitness centers and more. Waikiki Marina Resort at the Ilikai in Honolulu: This resort, which gained worldwide fame after its feature during the opening credits of Hawaii Five-O, is an ideal lodging option when visiting Honolulu. Set footsteps away from the acclaimed Waikiki Beach, travelers can get their adrenaline pumping with surfing, canoe paddling, snorkeling, swimming, boogie boarding and all the other many water sports available in the area. The views of the ocean and Honolulu skyline will leave guests breathless and the sporadic live Hawaiian music performances in the resort's courtyard will set the tone and get travelers in the Hawaiian vacation mood. After some time on the beach, travelers can visit nearby Honolulu Zoo, Honolulu Museum of Art or Hawaii Convention Center, all less than two miles away from the resort. Margaritaville Vacation Club Wyndham Rio Mar in Río Grande, Puerto Rico: Luxury spas, ten different restaurants, hammocks throughout the resort and a casino, are some of the many amenities guests can enjoy at Margaritaville Vacation Club Wyndham Rio Mar. A resort inspired by Jimmy Buffett's lifestyle and music, nestled along the coast of Puerto Rico creates the perfect condition for a calm and relaxing vacation. This paradise is about 30 miles outside of Old San Juan, where travelers can explore the area's rich history and see its colorful Spanish-colonial architecture. The scenic views of the El Yunque Rainforest is the perfect place for a romantic hike. Puerto Rico ranked No.1 on the New York Time's list of 52 Places to Go in 2019, making It one of the country's most-desired travel destinations. Wyndham Bali Hai Villas in Kauai, Hawaii: Some of the most popular attractions in Kauai are within a short drive from this resort, including Hanalei Bay, Waimea Canyon State Park, Limahuli Garden and the Hanalei National Wildlife Refuge. Surrounded by stunning, scenic waterfalls, Wyndham Bali Hai Villas features spacious one-, two-, and three-bedroom suites. Its two outdoor pools enclosed by lush gardens, truly embodies Hawaii's spirit of paradise. Recognized as one of Hawaii's best, this resort placed in the "Best Vacation Timeshare" category of HAWAI'I Magazine's 7th Annual Readers' Choice Awards. 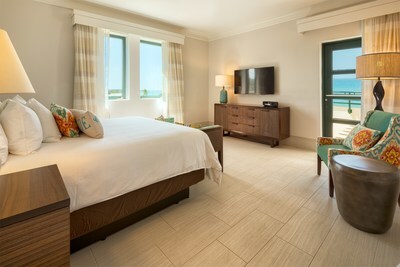 Wyndham Kona Hawaiian Resort in Kailua-Kona, Hawaii: Also placed in the "Best Vacation Timeshare" category of HAWAI'I Magazine's 7th Annual Readers' Choice Awards, this beautiful resort features a charming traditional Hawaiian island ambiance, perfect for a romantic getaway, golf trip with friends or memorable trip with the family. Nearby Kona Country Club's featured course has been recognized by Golf for Women magazine, ESPN, and ZAGAT Guide as one of the nation's top golf facilities. Additional island getaway resorts include Wyndham Margaritaville St. Thomas in St. Thomas, USVI. ; Kona Coast Resort in Kailua-Kona, Hawaii and more. To book a suite or for additional destinations, visit ExtraHolidays.com/Spring. OFFER DETAILS: Book by April 22, 2019. Travel by June 23, 2019. Mention promo code SPG19. Two-night minimum length of stay required. Valid for new reservations only. Reservations are subject to availability. Reservations not valid over holidays and special events. Cannot be combined with any other offer. All monetary amounts are noted in U.S. Dollars unless otherwise noted. Wyndham Bonnet Creek Resort in Orlando, Fla.: This family-oriented resort, which recently ranked No. 4 on Condé Nast's Readers' Choice Awards list of Top Resorts in Orlando, is conveniently adjacent to Walt Disney World and is minutes away from plenty of fun activities for the whole family, including some of Orlando's top attractions, entertainment, dining and shopping. Guests can unwind in any of the oversized one-, two-, three-, and four-bedroom suites, and with five outdoor swimming pools, two lazy rivers, a miniature golf course, game room, and a "Play Days" activities programs for the kids, Wyndham Bonnet Creek Resort offers countless amenities for guests to embrace and enjoy onsite as an added bonus to a thrilling Orlando vacation. Wyndham Nashville in Nashville, Tenn.: Placed along the banks of the Cumberland River, this resort property is not only a short, 20-minute drive or shuttle ride to Grand Old Opry, Opry Mills Shopping Mall, the Country Music Hall of Fame, Downtown Nashville and more, it's also within close proximity to the Adventure Science Center and Nashville Zoo, easy access for families traveling with the kids. This Nashville resort is a destination in its own right. There are plenty of amenities for guests of all ages, including two outdoor swimming pools, a soothing outdoor hot tub, basketball court, children's playground, and organized activities through the "Play Days" program. Wyndham Desert Blue in Las Vegas: Club Wyndham Desert Blue is located just one mile off the world-famous Las Vegas Strip and offers guests free shuttle rides as a nice bonus. At the same time, the resort is also the perfect distance away from all of the hustle and bustle of the big casino hotels, making it a great Las Vegas home base for families vacationing together. Guest can experience everything Sin City has to offer or head outside the city limits to visit the Hoover Dam, Red Rock Canyon and Mount Charleston, all a short drive away. Oceanside Pier Resort in Oceanside, Calif.: This resort sits at the base of Southern California's longest active recreational pier—Oceanside Pier. Right across the street from some of the area's best beaches, guests can go swimming, surfing, fishing or hop on jet skis for a thrilling beach vacation the entire family can enjoy. 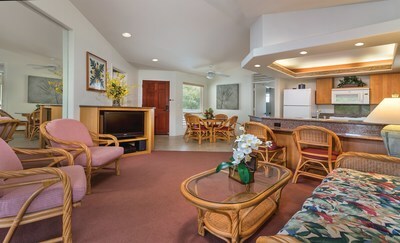 After a day catching waves or exploring the rest of Oceanside, guests can unwind in the whirlpool tub or on the private balcony, included in some units. 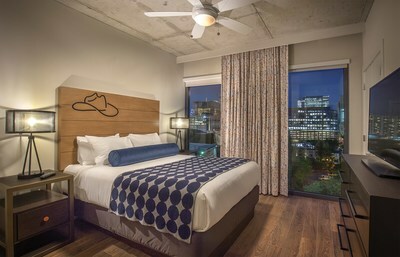 Wyndham Austin in Austin, Texas: One of Wyndham Destinations newest resorts, Wyndham Austin is located near the heart of Downtown Austin. This resort is also suitably located within a walk or short bus or car ride to many of Austin's main attractions, including the Texas Capitol Building, French Legation Museum, Graffiti Park at Castle Hill and the ever-so-popular Sixth Street Historic District, home to plenty of Austin's most popular bars, nightclubs, live music and shopping. The residential-styled resort suites offers the perfect home-away-from home for guests visiting Austin for South by Southwest, the Pecan Street Festival or just a cool urban getaway in one the country's top metropolitan destinations. 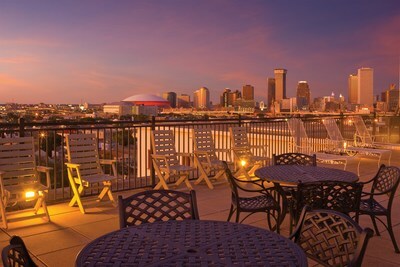 Avenue Plaza Resort in New Orleans, La. : Located on the streetcar line in the Garden District, these spacious studio and one-bedroom resort suites can comfortably sleep a small group of friends or a family of four and offers guests plenty of opportunities to relax after a day of discovering New Orleans. Guests can unwind in the courtyard, take a dip in the swimming pool or head to the rooftop sun deck for spectacular views of the New Orleans skyline. The resort property is not only right next door to Ashley House Ghost Tours, for travelers seeking a thrill, it's also minutes away from the French Quarter, Harrah's Casino, the Audubon Zoo, the Superdome and the French Market. The on-site restaurant, Mr. John's, dishes up New Orleans signature delights, including flavorful steak, gumbo and fresh seafood dishes. For vacation inspiration, travel tips and to learn more about activities and events available in many of the resort areas included in this sale, please visit timeshare.com. Wyndham Destinations (NYSE:WYND) believes in putting the world on vacation. As the world's largest vacation ownership and exchange company, Wyndham Destinations offers everyday travelers the opportunity to own, exchange or rent their vacation experience while enjoying the quality, flexibility and value that Wyndham delivers. The company's global presence in approximately 110 countries means more vacation choices for its four million members and owner families, with more than 220 resorts which offer a contemporary take on the timeshare model – including vacation club brands Club Wyndham®, WorldMark® by Wyndham, and Margaritaville Vacation Club® by Wyndham – 4,300+ affiliated resorts through RCI, the world's leader in vacation exchange, and 9,000 rental properties from coast to coast through Wyndham Vacation Rentals, North America's largest professionally managed vacation rental business. Year after year, a worldwide team of 25,000 associates delivers exceptional vacation experiences to families around the globe as they make memories to last a lifetime. At Wyndham Destinations, our world is your destination. Learn more at WyndhamDestinations.com. Connect with us on Twitter: @WynDestinations; Facebook: @WyndhamDestinations; Instagram: @WyndhamDestinations; YouTube: @WyndhamDestinations; and LinkedIn: @WyndhamDestinations. Wyndham Extra Holidays specializes in offering quality vacation accommodations throughout the United States, including Hawai'i, the U.S. Virgin Islands, Canada, Mexico and Puerto Rico. Wyndham Extra Holidays is a specialized provider of rental vacation accommodations and a part of Wyndham Destinations, the world's largest vacation ownership and vacation exchange company headquartered in Orlando, Fla.